‘Dolphin speak’ to connect with aliens? Dolphins know how to listen to each other and do not interrupt each other. A group of scientists in Russia, who study conversations between two dolphins, believe that understanding the language dolphins speak will help in trying to communicate with extra-terrestrials, if ever we get the chance to meet them. Scientists at the Karadagsky Natural Reserve in Crimea have succeeded in identifying separate words and sentences in the speech of dolphins. They speculate that their research might be able to help humans communicate not just with the dolphins, but also with aliens. "The research shows which of the dolphin's acoustic signals can be considered highly developed conversational language," said Vyacheslav Ryabov, the research director. "Study of the dolphin language can also help us communicate with extra-terrestrial civilizations, and even other animals." 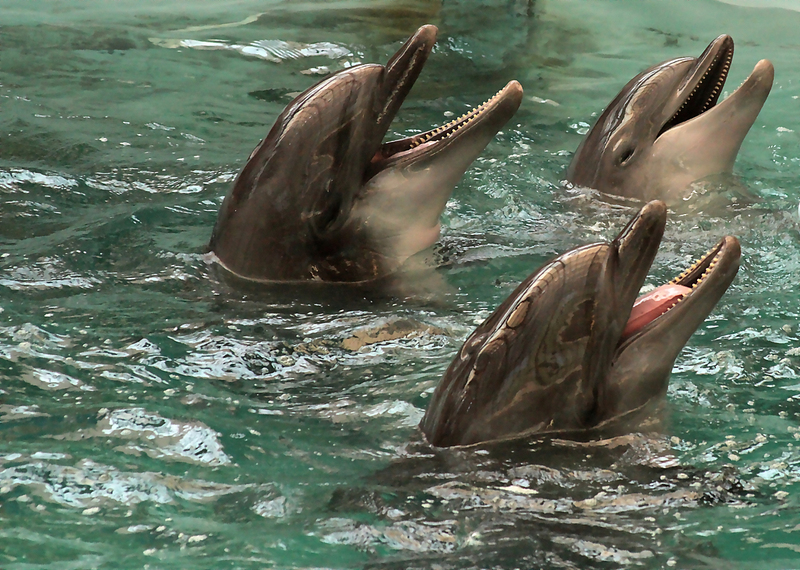 Humans can only hear the dolphins speak, with the help of modern technology. Scientists used a special underwater microphone to help them detect and analyze the dolphin language. Ryabov called for scientists to create a device that would allow us to not only listen and understand dolphins, but also to communicate with them. The scientists were working with two Black Sea bottlenose dolphins, named Yasha and Yana, recording and breaking down their conversation into constituent elements. The sounds that one of the dolphins makes are different from those of the other. The main difference is in the spectrum and frequency of the non-coherent pulses, or NPs. Also, the series of sound combinations do not repeat themselves, which led the scientists to conclude that each NP is a separate phoneme. The research study has also explained that dolphins know how to listen to each other and, unlike many humans, do not interrupt each other. The scientists have also found that the exchange of information among dolphins is similar to that of a conversation between two people. However, the spectral range of their speech is 20 times wider than ours, making their communication much more informative. This means that in any one unit of time, a dolphin can give his interlocutor more information than a human can give to another person in the same period.